Winter is coming. The change in seasons means new fashions, clothing and accessories, accessories like your nails. How you do your nails reflects your unique personality. 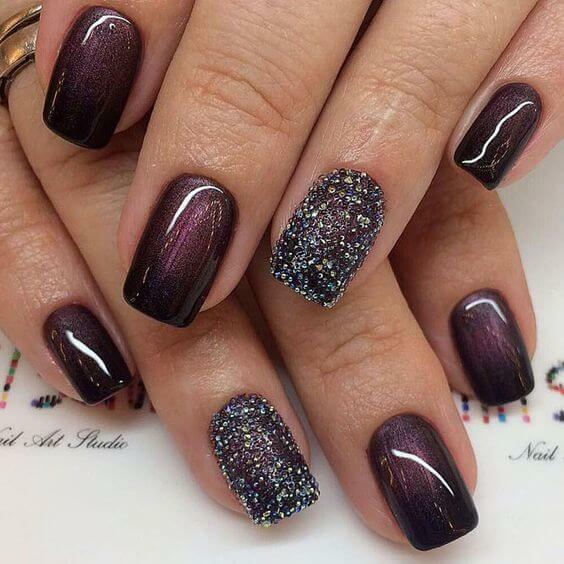 Your nails also have to compliment your outfit as you display your sense of style to the world. Winter can be a dreary time. Fight the winter blas with some bright, festive nails. If that’s not your style, choose a more muted tone to compliment a darker wardrobe, or contrast your favorite white sweater. The potential is there to create an amazing new look through simple mixing and matching. There are many wintry colors and tones to choose from, including your favorite reds, blues, silvers and more. Whether you’re going to an upscale winter gala, a family holiday get-together or just want your nails to look pretty, festive nail art is the way to go. If you’re out of ideas, here are 26 winter nail designs sure to make your winter wardrobe look fabulous.